We have deep expertise in the future of media. We perform research, create strategic frameworks, consult to major organizations, and run briefings and workshops on long-term trends and strategic issues for the media, content, online and related industries. 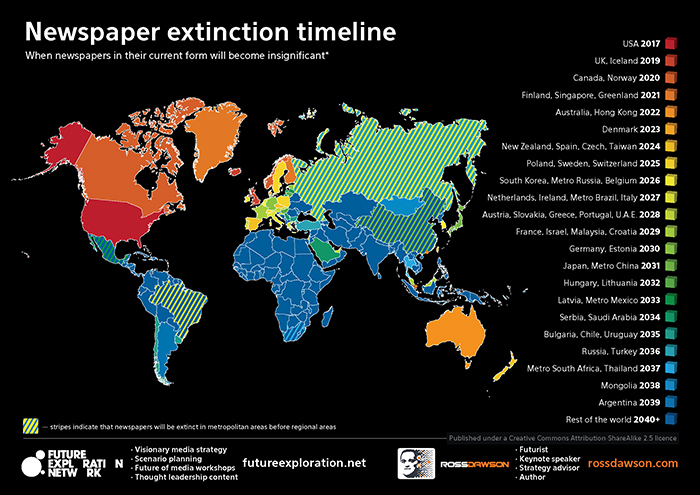 Scenario planning to examine full scope of uncertainty and opportunity in rapidly changing markets. Board and executive briefings on emerging trends and their implications for the media industry. 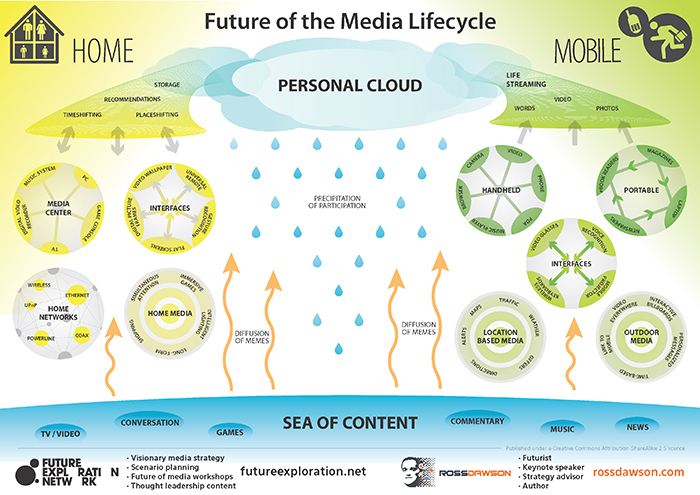 Technology and media landscapes that map emerging technologies and applications and their implications. Thought leadership content to get strong engagement with key decision-makers and influencers. Strategic frameworks for effective internal communication and engagement around corporate strategies. Provocation and stimulation for executives and managers engaged in exploring strategic options. Prototyping of web and mobile applications that point to future media opportunities. We are well-known for organizing the Future of Media Summits. From the launch in 2006, when it was the world’s first cross-continental event linking Sydney and San Francisco by live video and social media, through to 2008 brought together some of the world’s leading thinkers and practitioners involved ni creating the future of media. 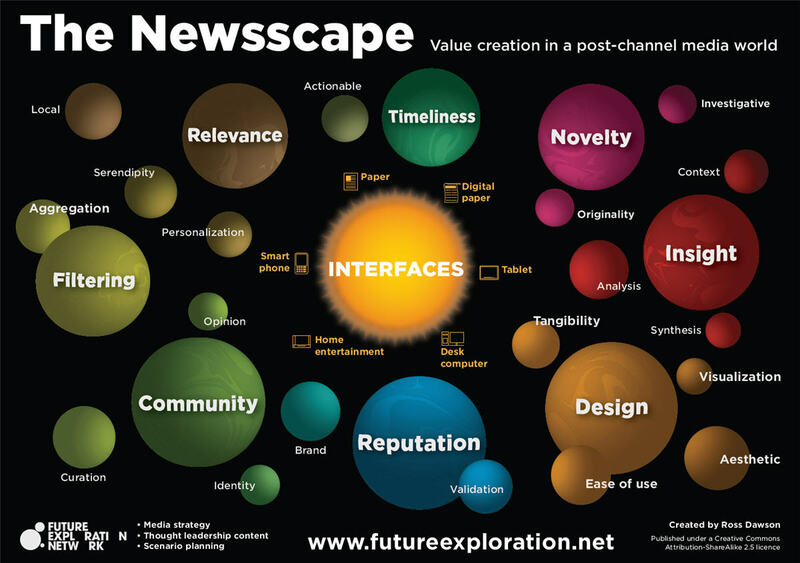 In association with the Future of Media Summits, Future Exploration Network released a series of reports on the Future of Media covering media trends, strategies and frameworks. These reports have been downloaded over 450,000 times. 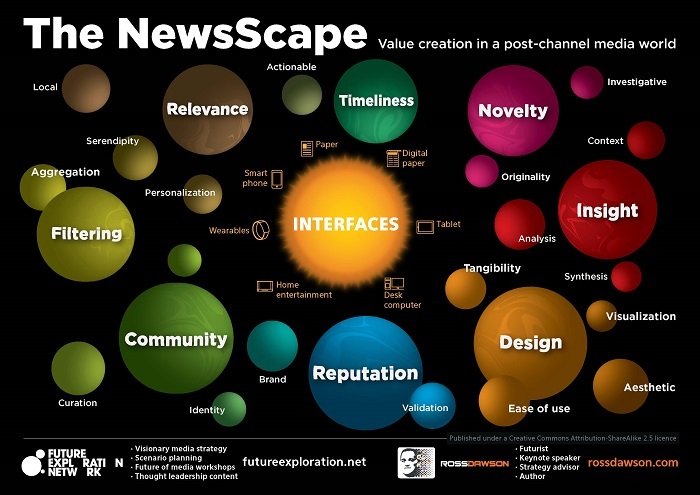 Our visual frameworks on the future of media have collectively attracted many millions of views and downloads, and have been used extensively in strategy development by leading media and other organizations worldwide. 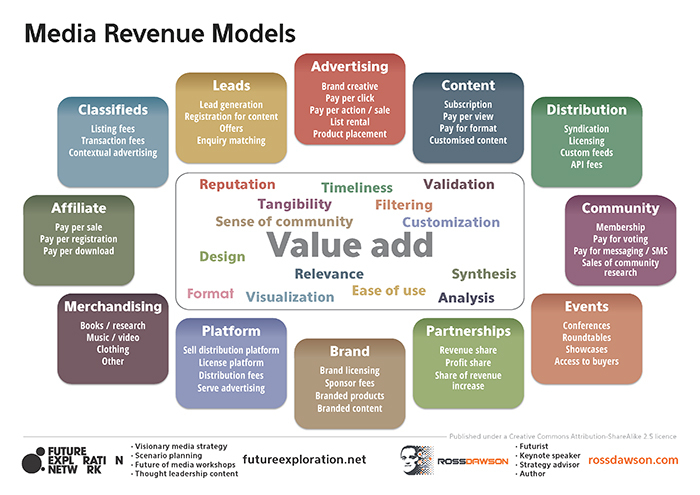 We have also created a number of custom frameworks for clients to assist them in developing or communicating their strategies for the future of media. 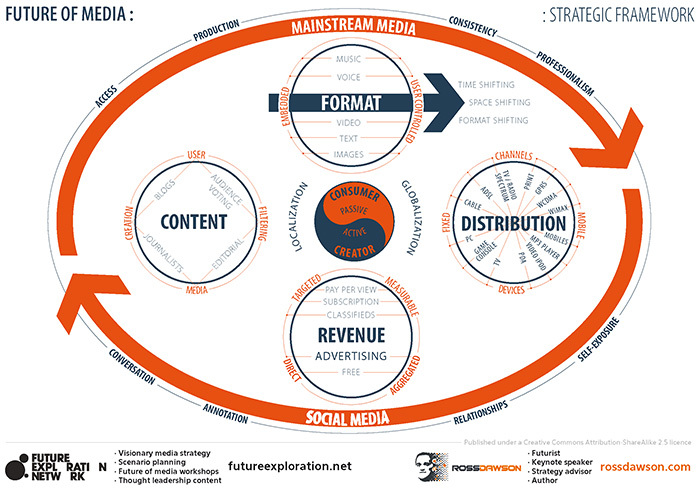 Below is a selection of some of our more popular public media frameworks. Please get in touch if you’d like to discuss how we can help your organization succeed as the world of media is transformed in coming years.